The Dyson 360 Heurist comes with LED-assisted vision plus a faster processor. It's been three years since the launch of Dyson's very own robot vacuum, the 360 Eye, and our very own Mat Smith was left impressed when he briefly lived with one in his old Tokyo apartment. That said, the machine wasn't perfect, but Dyson believes that its follow-up model will solve many key problems. The 360 Heurist announced in Beijing earlier today is a familiar-looking robot packed with some notable upgrades. For one, it's powered by a quad-core 1.4GHz processor, which is apparently 20 times faster than what was on its predecessor. According to the company, this helps the machine pick up 60 percent more detail about the environment, thus reducing the chances of bumping into things by 50 percent. Hopefully this also means fewer instances of misaligned docking. Another major feature on this new robot vacuum is its LED ring around the top camera. Where the 360 Eye is known to struggle in the dark, the 360 Heurist will happily zip around in the same condition by automatically lighting up its eight LEDs to boost its vision. In an earlier preview event, our Shanghai colleague saw the new machine beating its predecessor in a head-to-head comparison in a dark room, so it'll be interesting to see how well it fares in the real world. Likewise, while the 360 Heurist offers three suction power settings to help almost doubling the standard 40-minute runtime, I'm inclined to believe that a few minutes will still be deducted in real life. 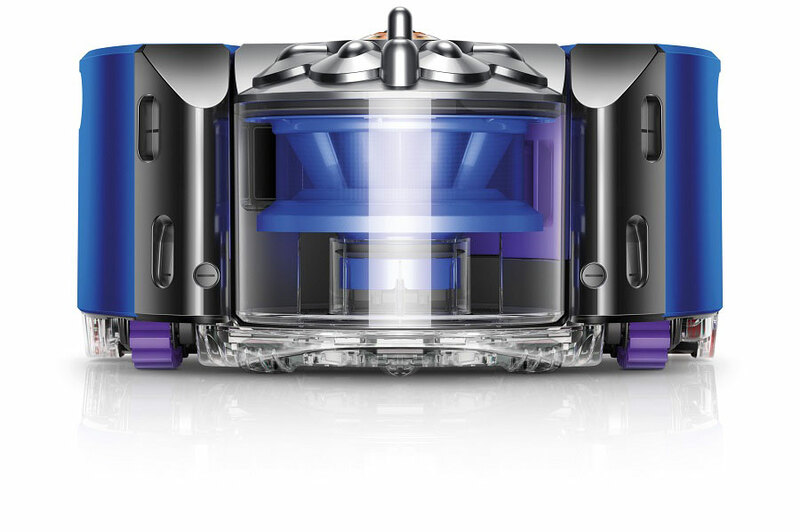 Still, the 360 Heurist will likely do a cleaner job than the first model, as it claims to have 20-percent more suction power despite using the same 78,000 rpm Dyson V2 digital motor. It also benefits from a higher stiff nylon bristle count -- a jump from the original 5,468 to 6,947 -- on the faster brush bar for digging into carpets. 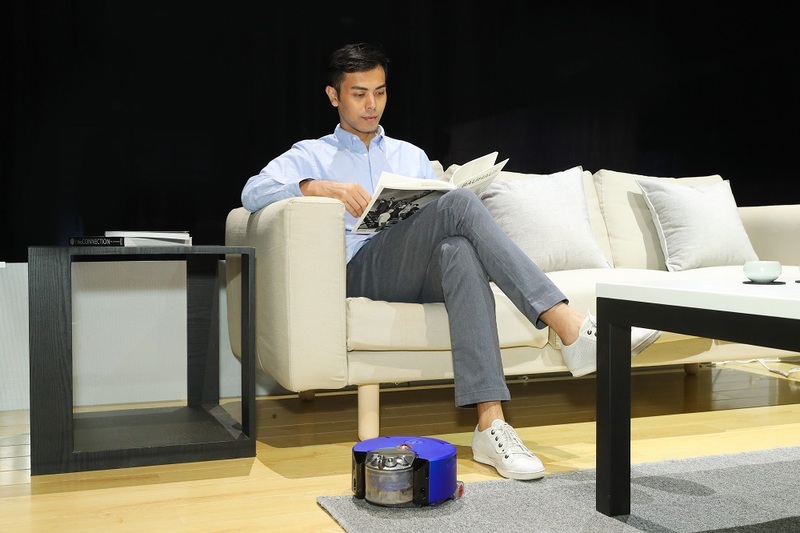 Like before, this robot can be monitored from its companion app, and by way of Amazon Alexa (or, in China's case, Tmall's Genie assistant), you'll also be able to control it via voice commands. There's no plan to add Apple HomeKit support for now, but that shouldn't be a problem for most people. There's no word on prices nor dates for other regions just yet, but the 360 Heurist will be hitting China come November for 5,490 yuan (about $800). That's a whole 1,000 yuan (about $146) less than the 360 Eye when it first entered China in May last year, which is somewhat indicative of Dyson's robotic ambition while facing the likes of Neato and iRobot.